Compression socks and stockings are perfect for people who have varicose veins or at risk for deep vein thrombosis. Compressions stockings can increase blood flow and reduce the risk of developing blood clots. They are especially beneficial to those on bed rest because prolonged immobility & bed rest can cause blood to pool in your legs. The compression socks and stockings help push the blood back to the heart. 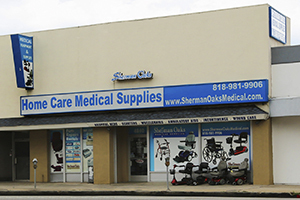 Sherman Oaks Medical carries a variety of compressions stockings. Choose from different lengths, colors, & styles. It is very important that you buy the right size as getting the wrong size can cause discomfort. We sell compression socks and stockings in store only. These items cannot be purchased online or over the phone. 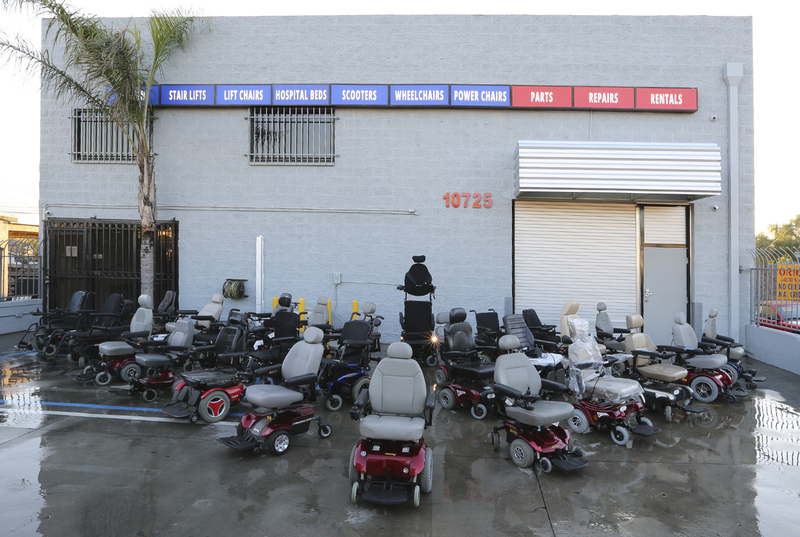 We carry a large selection of compression supplies from the best manufacturers, such as Jobst, Medi/Cep, & Sigvaris. We have a certified fitter working full time in our store to will help you choose the right compression product for you. Stop by our showroom in Los Angeles to get fitted for your compression stockings. Our certified fitters are highly trained and educated. They will help you with any questions you may have regarding compression stockings & socks, compression types, compression styles and proper use. Do compression socks and stockings come in pairs? Yes, unless otherwise stated all compression stockings and socks come in pairs. No, ready to wear standard compression stockings and socks do not require a doctor's prescription; however, we give 10% off if you do bring a doctor's prescriptions. Does Sherman Oaks Medical bill insurances for compression products? No, we only accept payments of cash, credit cards (Visa, Master Card, Amex, Discover), checks and PayPal. Compression stockings are not covered under Medicare Part B. This means Medicare will not cover for compression stockings even if you have a doctor's prescription. Why are compression stockings and socks hard to put on? If compression stockings are not hard to put on, then they are not providing the compression needed. You could use rubber gloves, rubber mats, donners or easy slides to ease the process of putting on the compression stockings. Is there a reason why I should NOT use compression socks or stockings? It is NOT recommended to use compression stockings if you have one of the following medical conditions: Ischemia (advanced arterial disease) of the legs, uncontrolled congestive heart failure, untreated septic phlebitis of the leg. You should wear compression stockings with caution with: skin infections, weeping dermatosis, allergies to garment fabric, impaired sensitivity of the limb, immobility (confinement to bed). Consult your doctor before wearing compression stockings 20mmHG or higher. What's the best time of the day for compression stockings and socks measurements? The best time to do measurements is earlier in the day before swelling builds in the legs. If the measurement is done after the swelling you might end up with a compression size that is too large. I have latex allergies, can I still use compression stockings and socks? We carry latex free compression socks and stockings. Please let the certified fitter know that you are allergic to latex and they will only provide you latex free products. If only one leg needs compression, should I wear the compression sock / stocking on the other? You don't have to wear compression stockings or socks on both legs if only one leg needs compression. A lot of people prefer not to wear compression on one leg if not needed or get a lower compression level on that leg. Can I use lotion and creams with compression socks and stockings? If the compression stocking or sock is latex free then it is perfectly safe to use lotion and creams.